This is my style of fish! The first ever designer aquarium with wireless electronic pet.. the LumiPUFF fish! 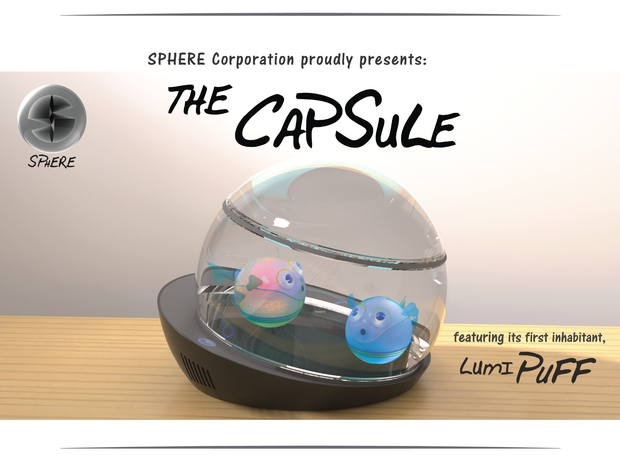 Completely maintenance free, the Capsule displays an array of dynamic colors as your LumiPuff fish swims around. You can connect it to your smart phone to change the color combinations. You also can with your fish through a unique electronic fish feeding game. 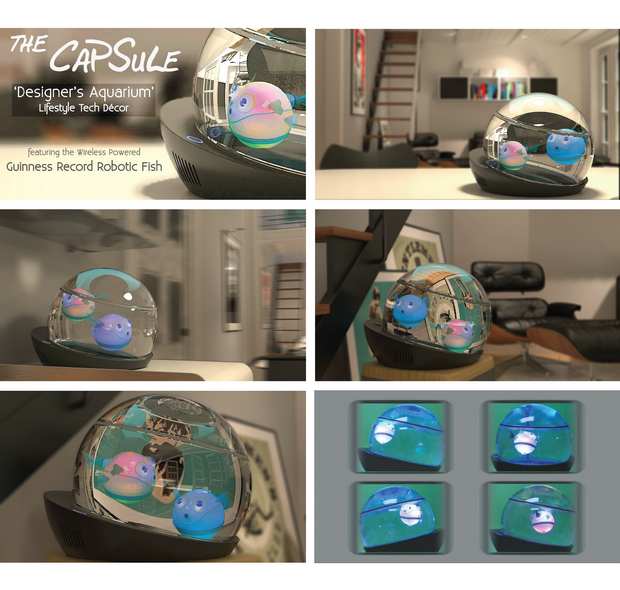 THE CAPSULE has been officially awarded a WORLD RECORD for ‘The First Wireless Induction Powered Aquatic Toy’. It is a great consumer electronic product for all ages and an attractive lifestyle product for EVERYONE. We believe we have on our hands an award winning lifestyle CE product of the year. What a soothing and decorative piece to have displayed in your living room or office. I look forward to their process as they continue to work on the CAPSULE!